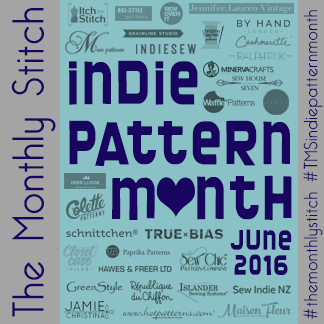 Below you will find links to all the posts regarding Indie Pattern Month 2016, an easy way for you to keep up (or catch up) with what is happening. Learn how the bundle sales ran here. Please keep in mind that we get really busy working on Indie Pattern Month and we often get a lot of sign up requests in June at the last minute. We must approve sign-ups manually and it can take up to 72 hours for us to complete the process so please don’t wait until the day your contest is closing!